Read why graduates said they chose Rockford Career College. Programs start every 5 weeks. 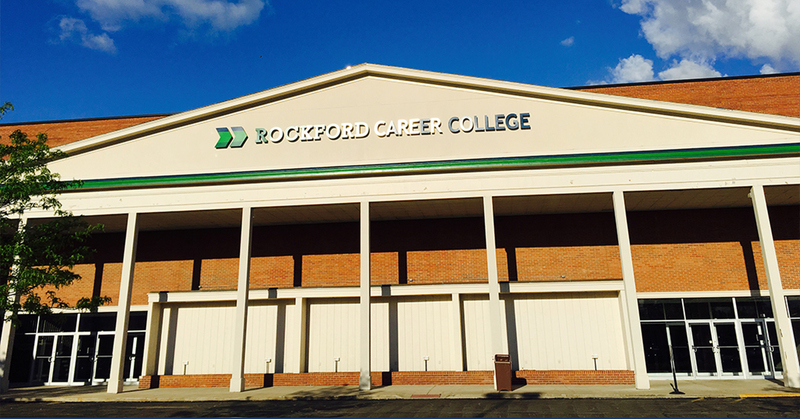 Why choose Rockford Career College? Hands-on learning: We provide you with practical experience as soon as you have completed any required safety training. By actually doing what their daily work might entail, students have learned more quickly and effectively than with only classroom lectures. Ten-month programs: We offer numerous programs that could be completed in less than a year. If you take core classes first to earn a diploma, you then have the option to earn your associate degree by completing the US Education Department requirements such as English and history. These requirements could be completed online in your own home or our campus computer lab. Caring admissions staff: Our dedicated admissions team members take the time to ensure that prospective students are matched with the right programs for them. Admissions representatives help determine potential obstacles to students' success and provide continuous support. Financial aid: Helpful Finance staff: Our finance team is here to assist you. Financial Aid is available for those who qualify. Experienced instructors: Our instructors incorporate real-life examples and tips that they have gained from years spent in their respective career fields into their lessons. Support: Our students services team specializes in answering your questions and resolving issues that may be affecting your academic performance. However, student services team members are not the only ones here for you. Whether it's from the admissions team, fellow students, or instructors, encouragement could be found anywhere on campus. Even the school's president stops by classrooms to see how everyone is doing! Job Placement: We know it's all about a job. Our career services team has already networked with local employers for you. Prior to graduation, we could help you find your perfect job. Employers have consistently placed confidence in our graduates' abilities. Our graduates have shared what they love about our campus, but only you can make the first step. Call 888.860.6682 or submit our Request Information form to learn more. Don't delay any longer; soon, you could be one of our many alumni in which we take pride.